Happy Year of the Pig Simmers! To celebrate the Chinese New Year The Sims 4 just launched a new patch containing free content for various aspects of the game, which they showed off in yesterday’s Maxis Monthly livestream. The patch also includes a lot of bug fixes and updates to make your game run more smoothly. 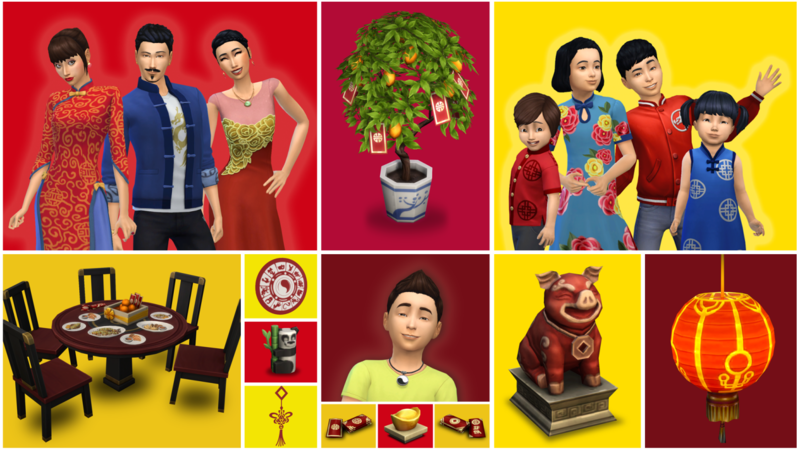 Previous ArticleThe Sims Blog: The Sims 4 Celebrates Lunar New Year!Next ArticleEA’s Financial Report Touches On The Present And Future Of The Sims Franchise!